The only 4000 ms peak which is entirely in the italian territory! 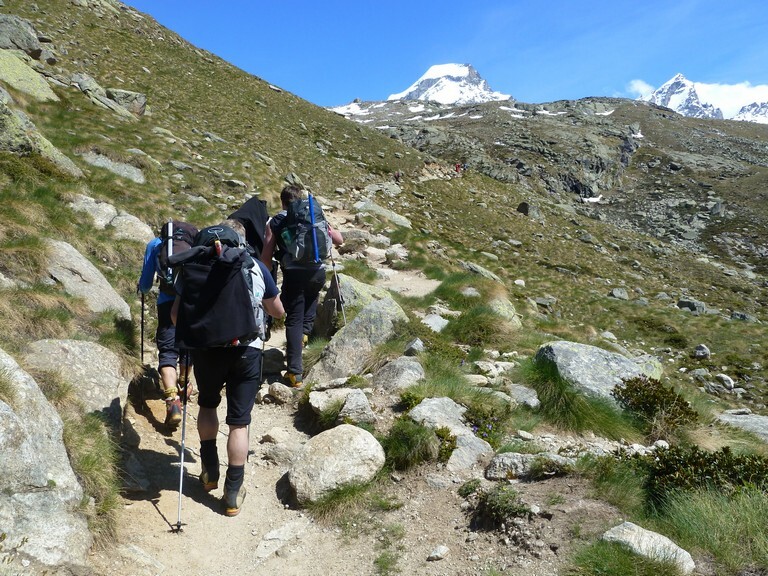 Gran Paradiso is a special mountain, which perfectly suits also for beginners. It is a mountain with a special charm that always gives strong emotions: it could be because the first part of the climb takes place from the Chabod shelter, in the shadow of its majestic north face, or maybe because the summit itself requires a short technical and fun trait, or also due to the fantastic view at the summit (from Monte Rosa to Mount Blanc, to the Vanoise Mountains) … It could be for all these reasons, and maybe for a thousand others (that each of us will be able to find on its own personal climb) that the climb of Gran Paradiso is not easily forgotten! The price includes: IFMGA Mountain Guide fees for 2 days. The price does not include: half-board in the hut (around 50 € – dinner, night, breakfast), half-board of the Guide (to be shared between participants), extras, anything not mentioned under the voice “The price includes”. Meeting with the Guide in the late morning in Pont. Gear check and briefing. Through a wonderful trail, where it’s common to meet animals like ibexes or chamois, we will walk to the Chabod hut. After around 1 hour of walk the Gran Paradiso north face will appear in all its majesty. Length of the walk: 2,5 hrs. 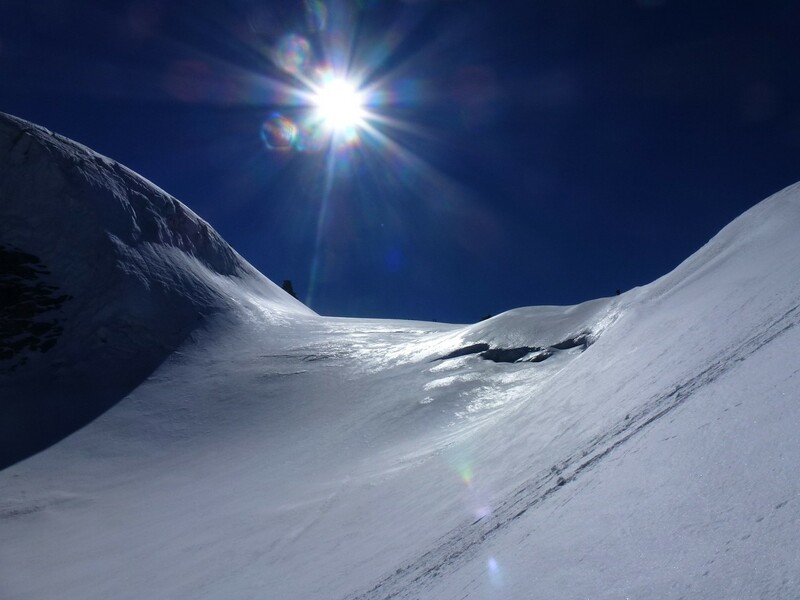 The climb to the summit, both from the Chabod and the Vittorio Emanuele huts, requires from 4 to 5 hours. After an early breakfast (around 4.30), we will start to walk with our head torches on. 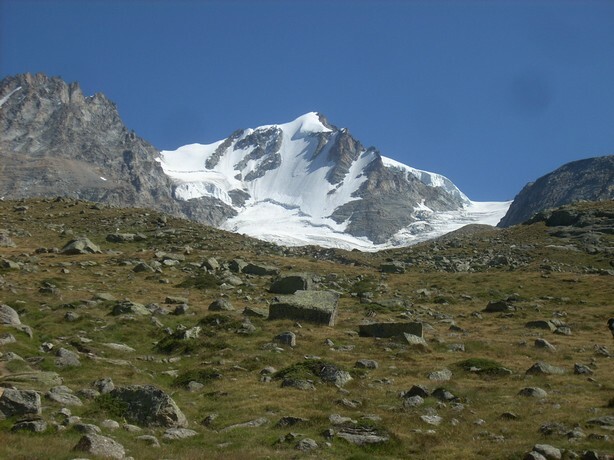 After traversing the moraine we will reach the Laveciau glacier, just below the north face of the Gran Paradiso, where we will rope up and put our crampons on. 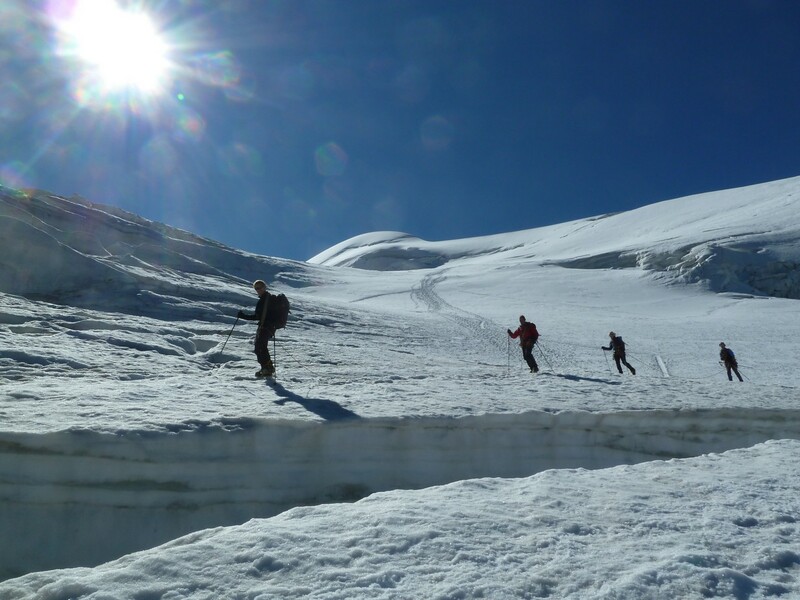 Traversing in the middle of big crevasses and ice-cliffs (no worries anyway!) we will reach the base of the last rocks, just before the summit. 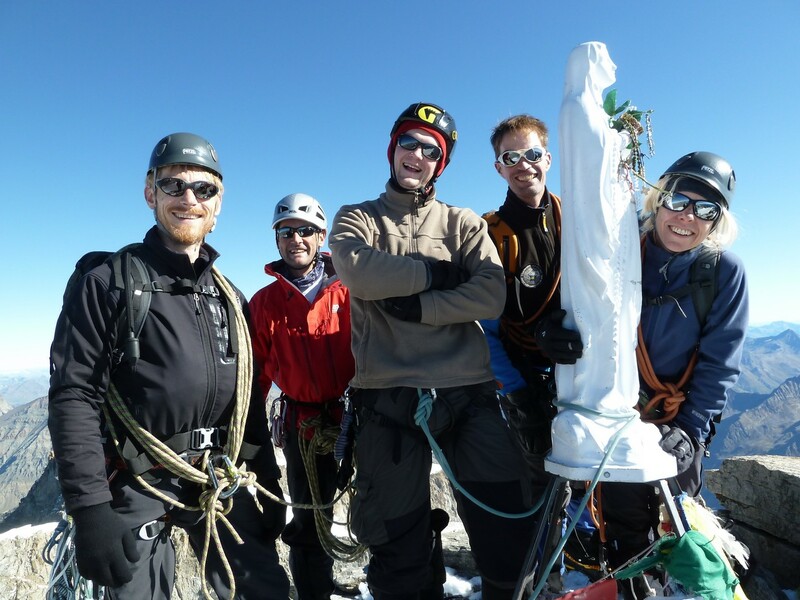 The last bit will reserve us a short but exposed section, after which we will be able to reach the Virgin on the summit. From the summit our view will embrace the entire circle of the Alps! For the way down we will take the direction of the refuge Vittorio Emanuel, which we will reach in about 3 hours and where we will have the opportunity to take a gorgeous lunch, before heading back to the valley and the cars.